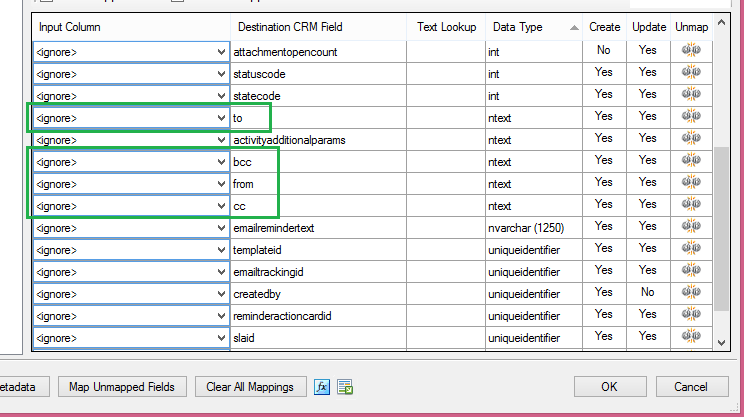 While doing data migration of Activity entities like Email, Phone call which has Party list fields like to, from, bcc, cc etc. where we set all values i.e. lookups of different entities like Account, Contact, Lead, User, Queue etc. and manually entered an email address for e.g. &#x61;&#x62;&#x63;&#x40;&#x67;&#x6d;&#x61;&#x69;&#x6c;&#x2e;&#x63;&#x6f;&#x6d;. 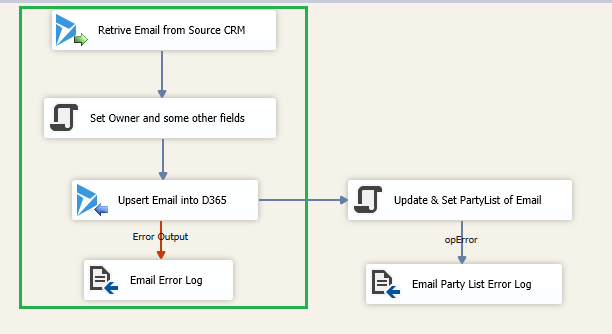 While setting these party-list values, I was unable to set manually entered email address value because it is not an entity, it is a simple field which holds values in backend. The main cause behind this is while setting other lookups like account, contact etc. we have logical name of entities and its object type code i.e. account has 1, contact has 2 etc., But in case of manually entered email address we do not have its logical name because it is a Field, so due to this while setting the party list data I was unable to set such values in it. 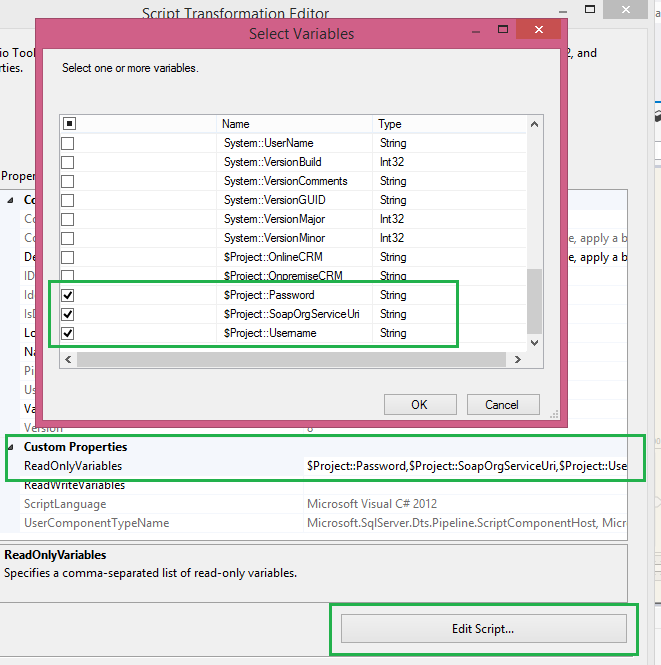 This blog will help you to fix this issue and how to set all party list values including address used value while migrating Activities data. To updating the record we need a Script component of Kingsway soft tool where we have to write the code to update party list of records. 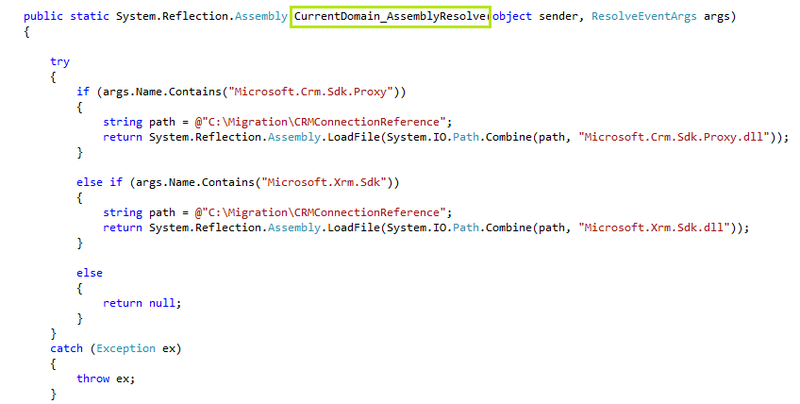 As we can see in below screen clip, the SSIS package initially creates record after then updates the record by using update() with the help of Microsoft.Xrm.sdk and Microsoft.Crm.sdk.proxy DLL’s. 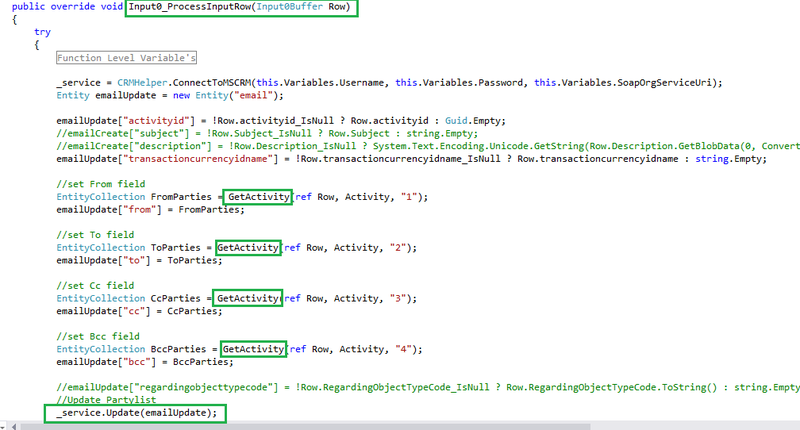 GetActivity() function required to pass 3 parameters i.e. Input Row, Activity name and Participation type mask as we can see in above screen clip. 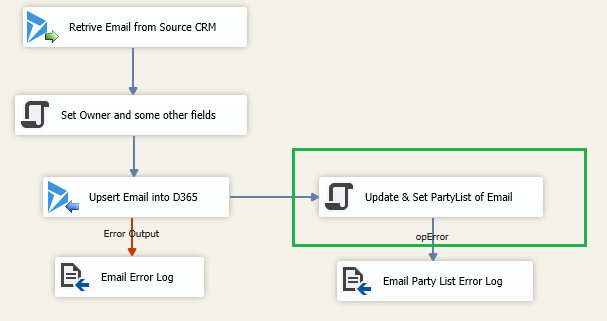 Using Service.Update() in Script component we can set all party list values like Account, Contact, Users or Address used in Activities which has party list fields.